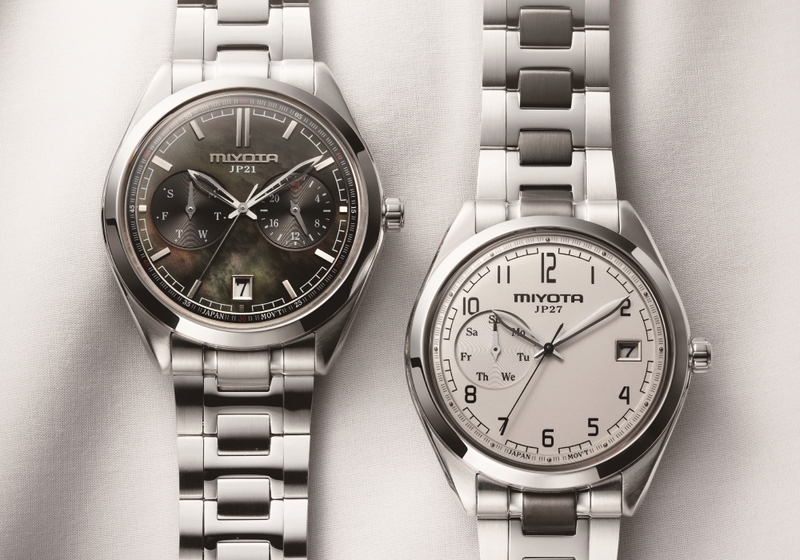 Miyota will introduce new movements in the Multi-Function Series. with the date window located at six o’clock (6H). This movement is ideal for designing watches with a basic dial layout, and the demand for that kind of design is growing. The Caliber JP27 has the day window located at nine o’clock (9H). This movement will give your watch a unique take on current trends. This movement supports sporty, popular watch designs.